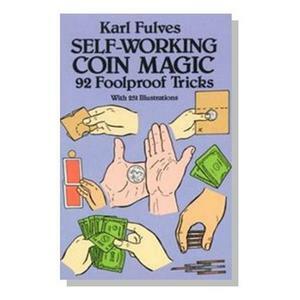 An excellent guidebook, written by one of today’s foremost authorities on magic, Karl Fulves, presents 70 of the best, most amazing self-working rope tricks ever devised-tricks that amateur magicians can master in a very short time. Karl Fulves begins the book by introducing rope tricks based on simple overhand knots, slip knots and square knots. These are followed by such tricks as “The Vishnu Rope Mystery” and the “Hindu Turban Mystery” in the chapter entitled “Cut-and-Restored Rope”. In “Ropes That Think” he demonstrates such fascinating maneuvers as “Liars’ Ropes” and “Seance”. You’ll also learn how to do a one-hand figure eight, perform a “Double-Ring Ceremony” and make an endless chain. 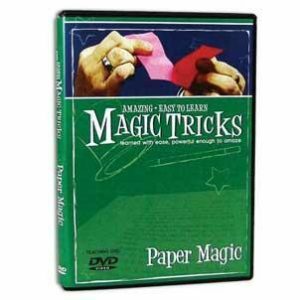 Novice magicians as well as veterans can learn these foolproof tricks quickly and easily with Karl Fulves’ clearly worded instructions and over 400 step-by-step illustrations. 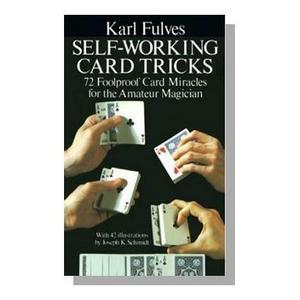 Along with the specifics of how to perform each trick, Mr Fulves provides helpful phrases and bits of patter to help readers present each routine with a professional flourish. Paperbound, 160 5 3/8″ by 8 1/2″ pages, 423 illustrations.